Irish soda bread has always come as a saviour to me especially on occasions when there is very less time to decide on and get working for a meal (generally dinner) or when out of sheer lethargy there is no motivation to work in the kitchen and most commonly in my case when I am too popped to make chapattis. Healthy and hearty, Soda bread is a great substitution to chapattis. With a simple veggie and soup, it makes a great meal. 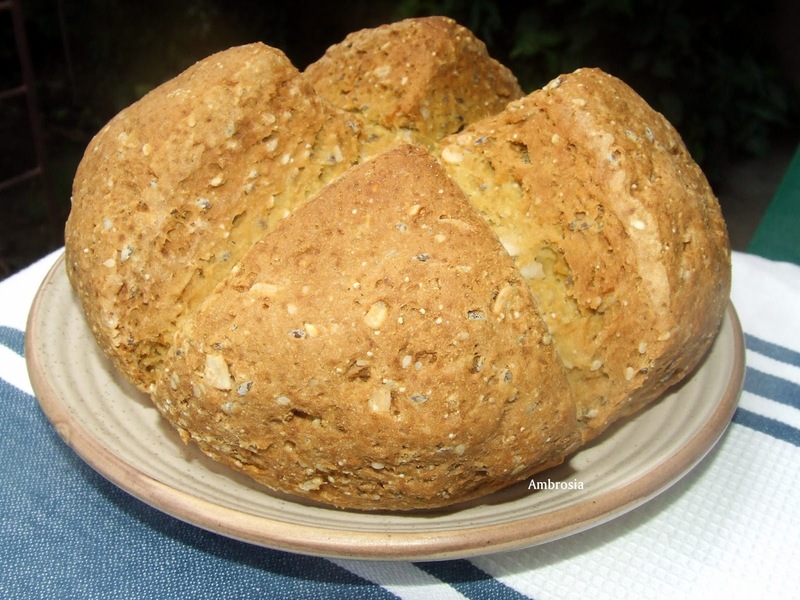 I remembered reading Heidi’s version of soda bread with seeds and it remained in some corner of my mind waiting to be tried out with a little changes. Last week when my kids were down with viral and needed constant nursing, I just couldn’t muster strength to cook in the kitchen with myself down with fever too, from infection passed on to me by my little ones. Sometimes eating is more out of routine than appetite and during such times something light and nourishing does the needful. 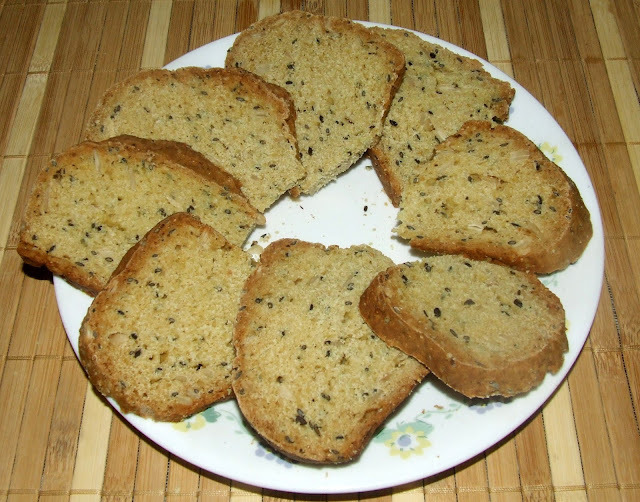 I made Irish Soda Bread with wheat flour and finger millet flour, added a lot of healthy seeds to it. The experiment paid well. Everyone loved the bread with seeds. We enjoyed it with sweet corn soup. 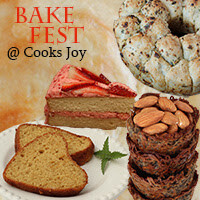 Sift whole wheat flour, all purpose flour and raagi flour. Add soda and salt. 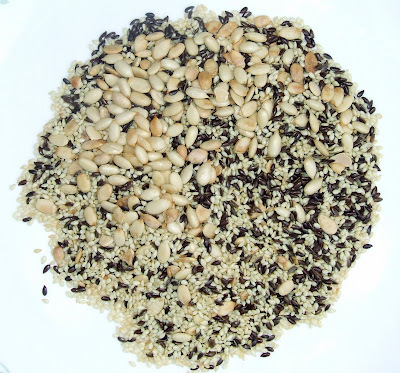 Add seeds. Make a well in the center and add about 1 cup buttermilk and stir till the flour mixture just comes together. Knead with hands gently till just smooth, say for a minute. 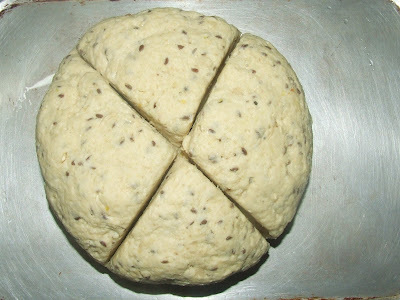 Shape the dough into a ball, place in the greased baking tray and mark it with a deep cross across the top with a sharp knife. Bake for 40 minutes or until the top turns golden. Cool on a wire rack. Slice when cold. I seldom made bread. Been comfortable with store bought ones. This is so good and really inviting. Certainly a recipe I should consider for a change. Loved this bread Namita. 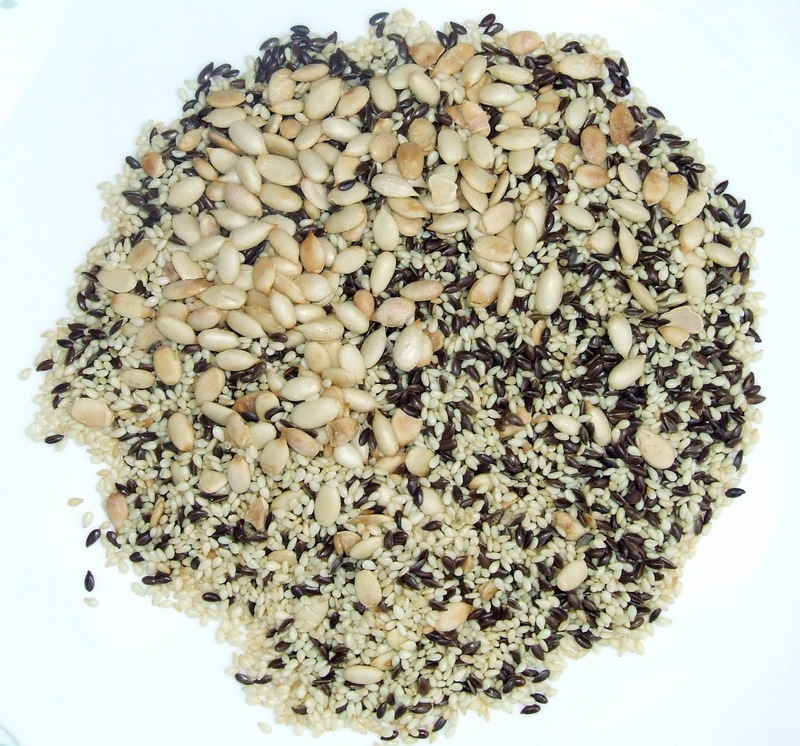 The addition of those various seeds sounds really interesting as they must have given the soft bread a beautiful crunch. After having tried and loved your multi-grain bread, I am book marking this one :) Will keep u posted. And hope you all have recovered from ur bout of illness! Take care. Namnita, I had a query.. maybe a silly one but since I have never tried making Irish soda bread... I have no clue about it. Just wondering doesnt this bread need to be set aside for rising? Or is that only for yeasted bread? Once the dough is made, it can be baked immediately? 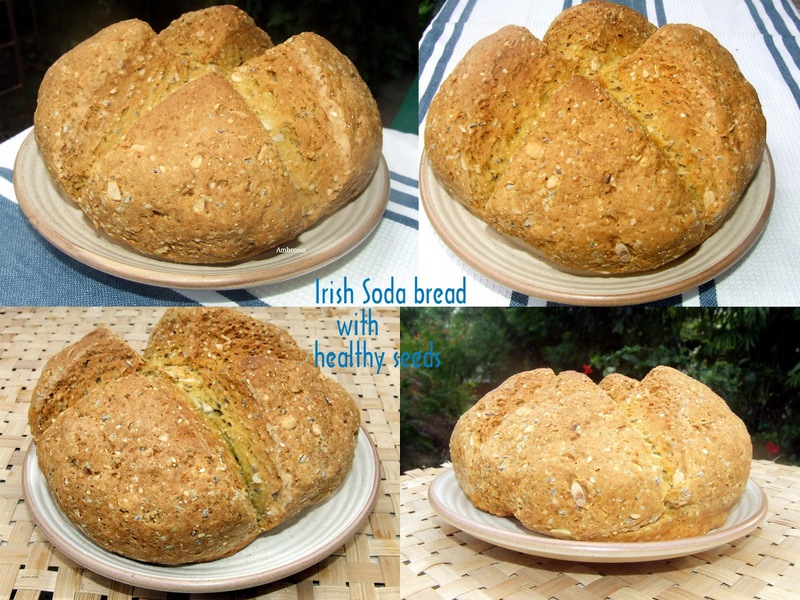 Namita I love baking Irish Soda Bread too! Thanks for another wonderful entry! Delicious soda bread, looks great. Am quite keen to make this one......Was wondering if I could replace Maida by increasing the amount of other flours or something like it...Kindly guide.....Thx..
You can surely use other flours in place of maida. If the flours are coarse, you might require more buttermilk to get the right moistness. Please go ahead and experiment. I am sure that you will be happy with the results.